For those who have been mulling over visiting Iran and haven’t booked a ticket yet, there are a variety of reasons to overcome their doubt in order to visit the conservative beauty and ancient history of the Persian civilization in an adventure around the heritage centers and antiquated districts, majestic forests and deserts to discover the entire set of rebuttals of all those unfair stereotypes against this great land. Situated between the Caspian Sea in the north and the Persian Gulf in the south, Iran bridges the East and the West historically showcasing the cultural, intellectual and political manifestations of the both while preserving its unique identity. This land is a must-see destination not just for those who prefer sight-seeing as a hobby in a four-season country with its most eye-catching and memorable attractions but also for those who intend to understand how ancient life was like. Iran’s landscapes vary remarkably, sometimes covered by snow or by lush vegetation. The nature of this country has been portrayed as a sign of diversity and charm in diverse artistic works. Iran’s natural diversity is a valuable parameter for the development of the tourism industry. This vast land with high mountains, flat plains, desert areas, rivers, lakes and caves provides a kind of amazing and spectacular geographical conditions in which one of the four seasons is visible at any time of the year and in each section of the country. For instance, in the winter season, one can swim in the warm waters of the Persian Gulf and others ski in the northern and western mountains of the country and still others enjoy the pleasant spring weather along the shores of the Caspian Sea simultaneously. The slopes of Alborz and Zagross mountains with numerous springs, lakes and wetlands have their own splendid views. In any case, Iran has many amazing landscapes in much-unexpected places, leaving every visitor in awe. From ancient Persia to modern Iran, from the Achaemenid Empire to the Sassanid era, from the Safavid period to the Qajar dynasty, to finally the Pahlavi family and the Islamic Revolution, Iranian history is as stormy as it gets, and traveling all around you can soak in every period and delve into the nation’s tangled past. Traveling to Iran means getting back home with the most beautiful gifts due to abundant handicrafts ranging from tiles and enamel work in Isfahan, cashmere, hand-woven silk and wool fabric in Yazd, to carpets of all sizes, colors and patterns in Tabriz. The Iranian cuisine is exclusively appetizing. While some national dishes such as Kebab and Ghormeh Sabzi (herb stew) are available everywhere, there are typical foods belonging to a particular region including Dizi and Mirza Ghasemi and so many others which are rich in spices and aromatic herbs. 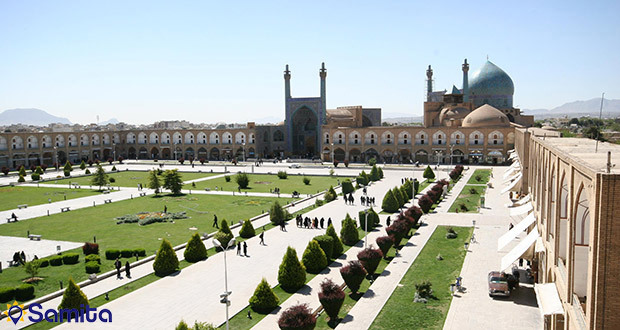 Compared to other destinations in Middle Eastern countries, tourism in Iran is affordable, making tourists accommodate in luxury hotels, go sightseeing and save enough for the inevitable shopping spree. Iran was the seat of the Persian Empire, one of the most powerful civilizations in the ancient times and thus the top reason to visit Iran is to understand how this land plays a very important role in shaping the epic history of mankind in the Middle East. The ancient Iranian culture, reflected in historical and architectural heritage, has brought about many monuments worth seeing. The magnificent historical places particularly in Isfahan – “Florence of the Middle East” –, Shiraz – the city of Persepolis and Yazd – the city of wind towers – together with atmospheric teahouses, bustling bazaars, fine deserts, rugged mountain ranges and charming bridges are motivating enough for visiting this land of mythology, art, and poetry resulting in experiences that will live longest in the memory.